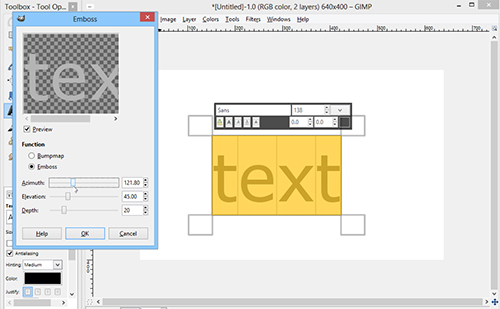 In this video tutorial we will show you how to emboss text in GIMP. 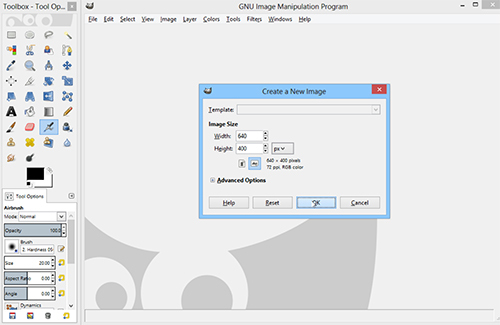 In order to emboss text in GIMP you must start the program. Go to the “File” menu and select “New” option. In the displayed window set the image properties and press “ОК”. 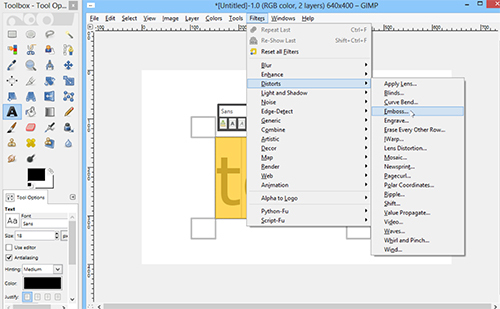 In the tools menu choose “Text Tool” and type in the text. Select the text and format it according to your needs. Go to the “Filters” menu and select “Distorts” option. Choose the “Emboss…” effect from the drop-down menu. 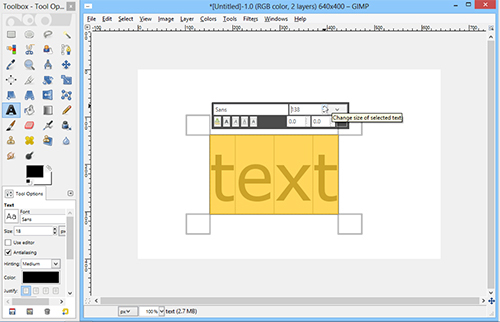 In the appeared window adjust the options of the emboss effect by moving the sliders and press “ОК”. The emboss effect has been successfully applied to the selected text.